February 2, 2012 - On Wednesday, while speaking at the Aero Club of Washington, U.S. Transportation Secretary Ray LaHood was asked about a statement he made in December when issuing the FAA's new rule on pilot flight and duty time. This new rule carved-out cargo carriers from mandatory implementation, but allows them to opt-in to the rule voluntarily. Question: "On December 20th, you announced the new flight time duty time rule and at that time you committed to a process of meeting with management of the all-cargo airlines and asking for voluntary compliance with the new rules. We just wanted to know some more thoughts on that and possibly a way forward should there not be voluntary effort on their part." 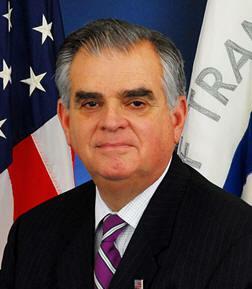 Secretary LaHood answered the question by saying: "I have invited our friends from the Cargo Airlines to come to my office and talk about really looking at the rule that we have adopted and implementing it. We think it's important that they know what's in the rule and why it's important and hear it from us and not read about it in the paper. And I'm going to just ask them directly to be a part of it. I think they should be. It's safe. Look, if everybody in this room believes in safety, which we do and I know all of you do, I can't think of a reason why they wouldn't want to do it. But we'll find out." On January 23, the Independent Pilots Association (UPS pilots) filed its preliminary statement of issues as ordered by the U.S. Court of Appeals for the D.C. Circuit in its challenge to the FAA's exclusion of cargo operations from its final rule on pilot flight and duty time. - The FAA failed to act in accordance with law by ignoring the fatigue facts and factors that are more prevalent in cargo operations, specifically night-time operations and flying across multiple time zones. ?The Court has ordered the FAA to file the certified index of the record, essentially a catalog of the regulatory docket, by February 6,? said Trent; ?this will be the first chance we have to review the entire record relied upon by the FAA in reaching its decision on the final rule. ?